Kevin left school with few qualifications and joined the army. He had his eye on what he wanted to do when he left and part of his preparation for ‘civvy-street’ was gaining an OU degree, part-funded by the army. The OU’s flexibility meant he could work and study and he is now matching further qualifications with his career goals. “I wasn’t very good at school and to be honest I didn’t really enjoy it. I just wasn’t really interested. 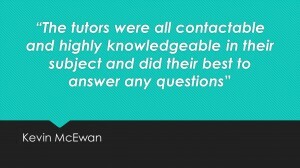 I got some GCSEs, though at D and below and I felt I had the ability but I just didn’t work hard. The Open University gave me another chance – to do what I really wanted to do, study sport and fitness and have a career after the army. I joined the army in 2003 aged 19, first as a truck driver in the Royal Logistic Corps, then as an instructor and later in teaching roles. I left in 2012 as a Corporal after nine years but had begun to plan my career when I got out, while I was still in the army. People leave the army without any qualifications, without planning ahead and expecting to just walk into a job, but a lot of what you do in the army is not transferable into civilian life. I had a diploma in diet and nutrition, a personal training diploma and had done an army fitness instructor course and in 2009 I started an OU course the majority of which was paid for by the army. You can get funding for up to 10 years after you leave which is something I would encourage other service people to take advantage of. I began studying when I was based in Cyprus and a Lance Corporal. My aim was to pursue a career as a personal trainer and I continued to study wherever I was stationed. I didn’t get any special treatment and finding time to study around your work and life, in and outside the army is a challenge. You have to find the motivation to carry on. It takes some discipline to do it and some of that might have come from my army background. The flexibility of the OU suited the way I wanted to learn, away from a classroom and in my own time. The course also gave me a grounding in all the relevant subjects and the quality of the learning materials was good and well produced. 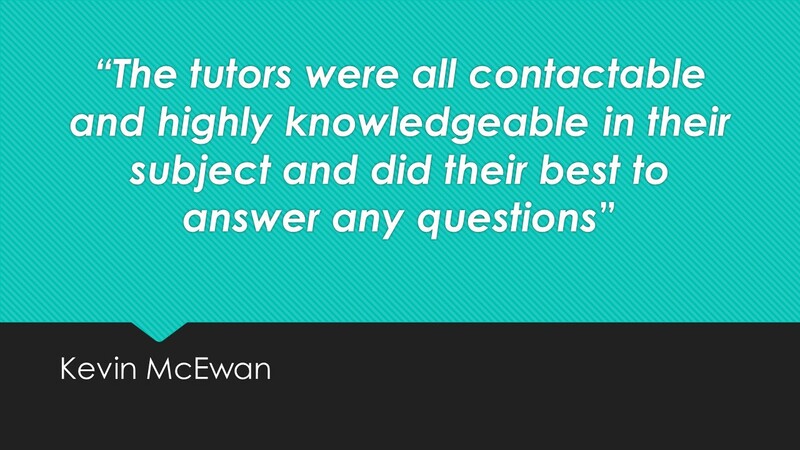 The tutors were all contactable and highly knowledgeable in their subject and did their best to answer any questions. I did not use social media or attend day or summer school and would rather study than do placements or go on forums. I used a mixture of technology to study where I could, laptop, tablet or phone. Since gaining my degree in 2013 I have begun an OU BSc in sports fitness and coaching and hope to go on to an MSc and become a physiotherapist. Studying while you work means you can apply what you learn straight away. Linking study to your everyday business helps you learn more effectively. Study has also helped my confidence. When I began I wouldn’t have had the confidence to start my own business or learn about sport fitness and management. If you want to follow in Kevin’s footsteps and study sport and fitness at The Open University please visit the ‘Study with us’ section of this website. This entry was posted in Student Stories on April 13, 2016 by Caroline Heaney.